I had a few bell peppers I needed to use up, so I decided to make some chili for dinner. 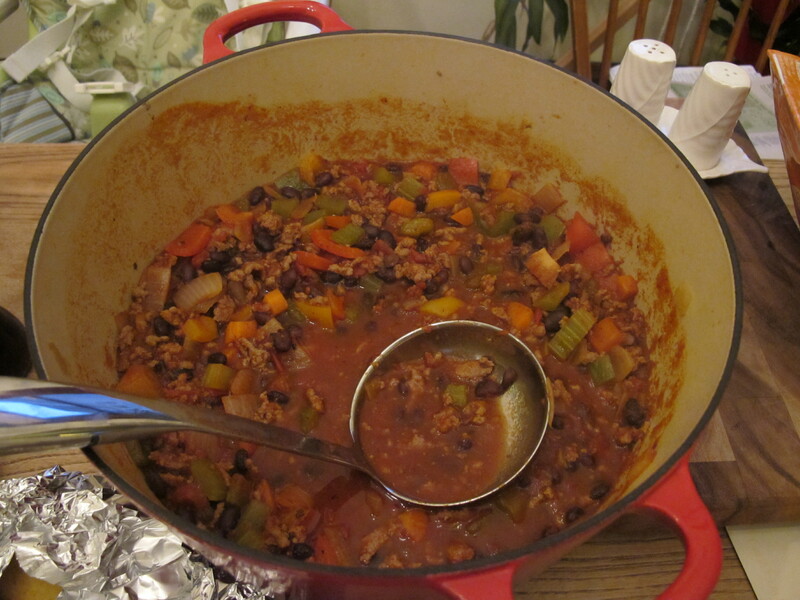 I rarely use a recipe for chili, and some are much better than others. This one tonight was a win. I realized that my most common mistake is using too much liquid, so I put in much less than I thought it needed, and it turned out perfect. 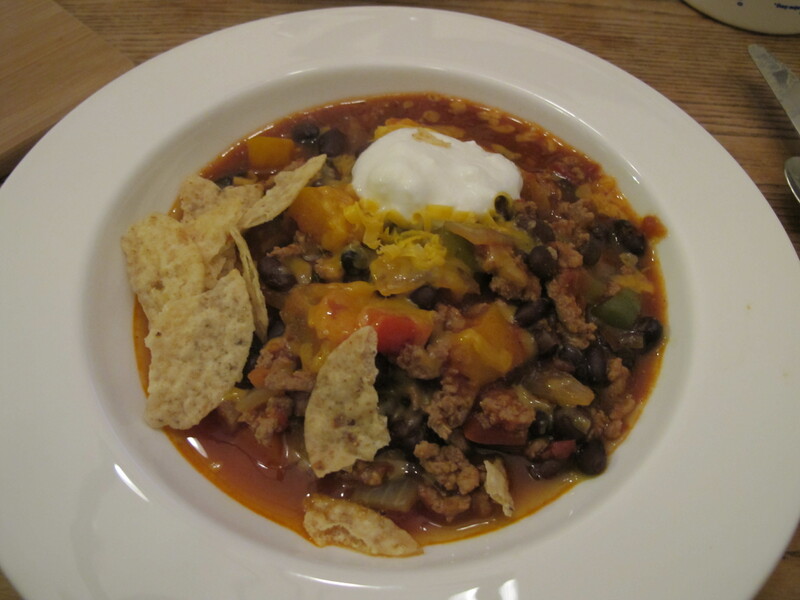 Not only is this chili tasty, but it is very healthy. Cook ground turkey over medium-high heat until done. 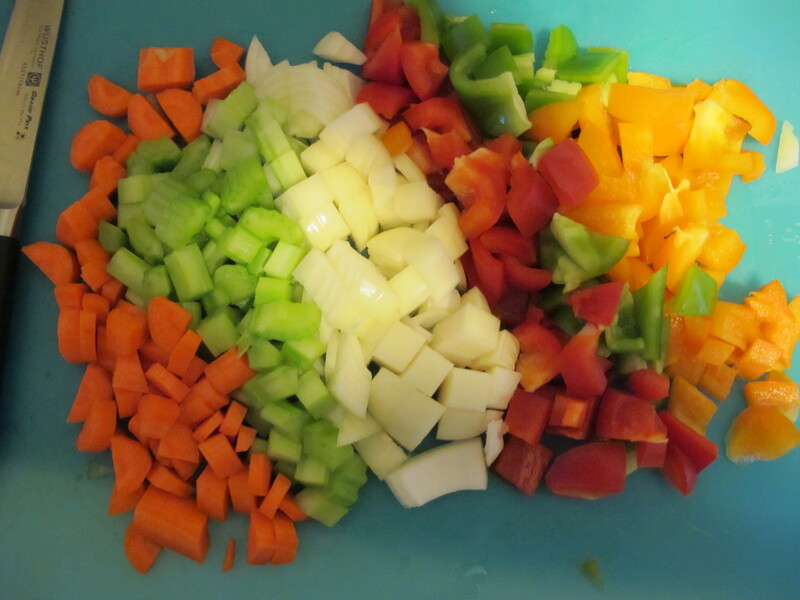 Chop peppers, onions, celery, and carrot. Remove cooked turkey from pan and sauté vegetables in some olive oil. 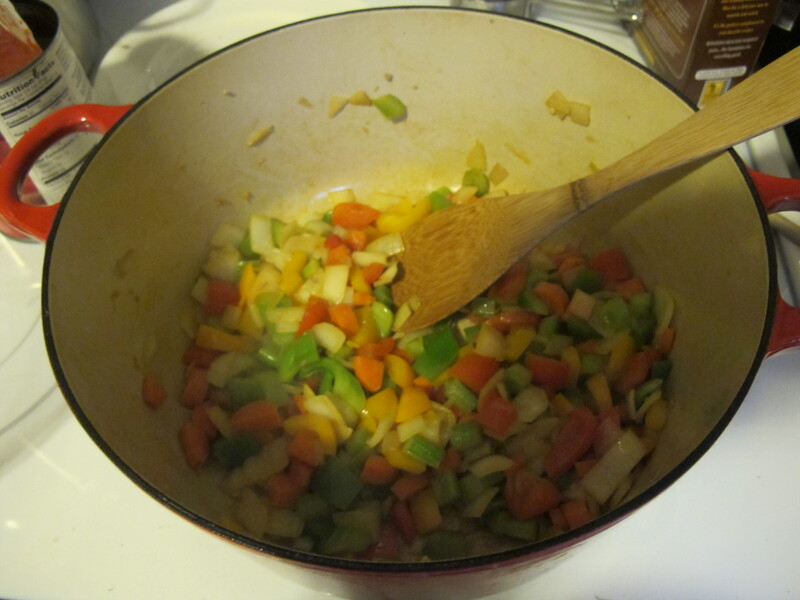 Once vegetables are tender and a bit brown, add the garlic and cook until fragrant, about 30 seconds. Add spices to the pan. Adding the spices to the pan before adding liquid brings out the flavors. Add the can of crushed tomatoes and vegetable stock (you could use chicken stock if you would rather). Bring to a boil. Reduce heat and simmer for 15-20 minutes. Add the black beans. Simmer for another 5 minutes. Serve with sour cream, cheese, and some corn chips. Variations: Feel free to use ground beef instead of turkey. To vary the amount of spice, add hot chilis and/or more hot sauce. I will often use jalapenos, pablanos, and anaheim peppers, but any pepper of your choice is fine.